Contemplating the end of our holiday comes with both regret and excitement. I would be so delighted to stay longer yet I am also definitely ready to head home. With this duality of feelings I wonder if I should be on some psychotic meds. Just kidding! Requiring neither the motivation nor fearing the drudgery of getting up at dawn, we both woke early and were soon down in the lobby and ready to start the journey home. 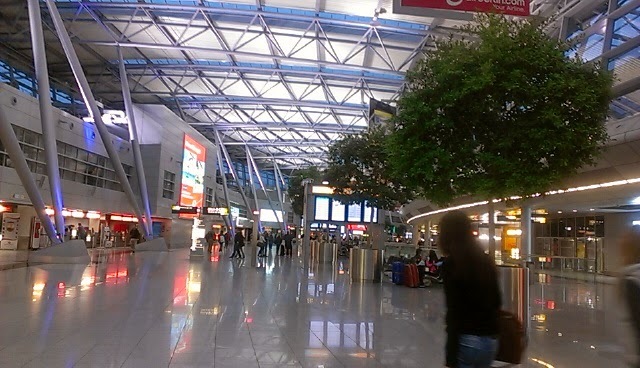 It is still dark outside and our flight to the US will depart from the Dusseldorf airport at 9:10 am. Cologne is about 45 minutes away and there are a few ways to get there including taxi or train. We have opted for the train from the main Cologne Station. Prior to 6:00 am we were in the lobby completing checkout and ready to drive to the station. The Cologne train station is very nice (almost sparkles!) and I actually prefer it to the one in Dusseldorf. It is very large but somehow does not feel chaotic. However at this early hour there were hardly any other people around. We purchased our tickets from the kiosk and then went down to the track to wait for the train. Cologne Station in the early A.M. There were maybe only 3 or 4 other people taking this train this early to the Dusseldorf airport. The train is an express and goes direct to the airport and then we will take the SkyTrain to the terminal building. Sounds easy but as this the first time we have done this we will find out. The Dusseldorf airport actually has 2 train stations which makes it confusing. 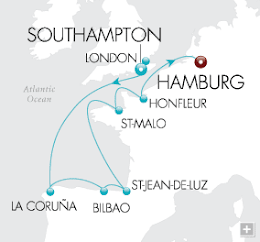 There is Dusseldorf Flughafen which services the S-Bahn and ICE trains and is located east of the airport. From here the SkyTrain has fast trains to the terminal. The other station is called "Dusseldorf Terminal Airport Station" and only the S-Bahn trains arrive there. This station is located below Terminal C and you don't need to take the SkyTrain. However, the S-Bahn trains are much slower (almost an hour) than the ICE which arrive at the Flughafen station. 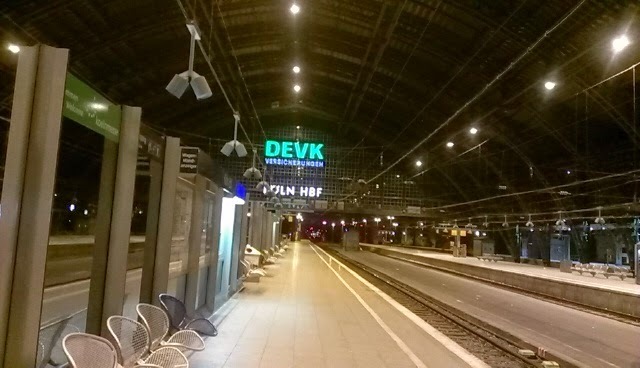 It is between 29 - 37 minutes nonstop on the ICE trains depending on the schedule from Cologne to the Dusseldorf airport and then the SkyTrain is only another 5 minutes. As it is more convenient and faster, we opted for this service. 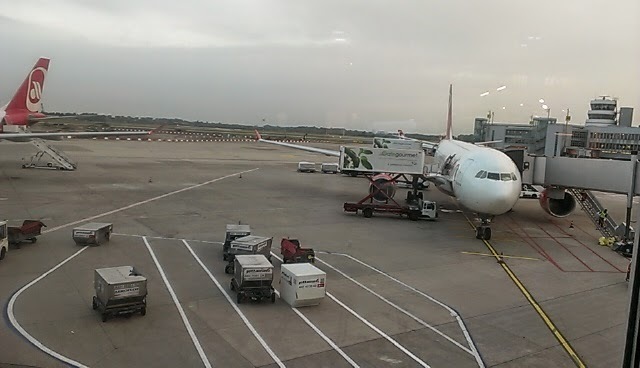 Happy to report the journey was very easy and after a couple different escalators at the SkyTrain station we arrived inside the Dusseldorf Airport main terminal. At 7:00 am the airport wasn't very busy. Due to security issues AirBerlin does not allow online checkin for US bound flights so that is another reason why we are here so early. With fewer people this helped as I needed to find the SIBA mobile wrapping guy. My battered carryon with its taped side is reaching critical mass. Its weight surpasses the cabin baggage limit so needs to be checked. Without being wrapped I am sure it would fall apart in transit and the contents dispersed who knows where. It was hard finding the wrap guy but as I did this last year I knew he had to be somewhere. I didn't realize I was going to get a full tour of the Dusseldorf airport from end to end as I kept searching for him. The airport is BIG and I was getting a workout! I had my mother park herself on a bench while I walked all the way to the end where the AirBerlin US bound checkin desks are located. No luck and then walked almost all the way back when I spotted him! I scampered over to get mother as she needed her bag wrapped too. There were 3 people ahead of us and they were wrapping some very small bags which looked kind of silly. With the bags wrapped (8 euros each) we proceeded to the AirBerlin checkin desk at the end of the airport. The checkin was fast and I found out my bag weighed 14 kgs. Passing through security was easy too and we proceeded to Terminal B. Everything looked very familiar from our visit here last year. We went to a different restaurant this time where my mother had a cappucchino and a we both purchased a breakfast item. My mother is still complaining about her legs hurting so we stopped at a pharmacy type store and she purchased a cream from Switzerland. She got some free samples too! At the gate she put some of the creme on and it smelled like menthol eucalyptus. It was very strong and seemed to be clearing my sinuses too! Because we were assured of having the newly configured aircraft this time with the new IFE system I didn't download any movies to the iPod or iPad. However at the gate I tried to download a movie to the iPad in case the IFE was broken. This was not going very well! Not sure if the connection just was not working or if I didn't have enough storage space on the device. Defeated I plugged my iPad into the outlet on the wall to charge it anyway. We were due to board at 8:30 am and next time I will have the movies already loaded in advance. Many travelers dismiss AirBerlin as a budget airline and refuse to fly it. 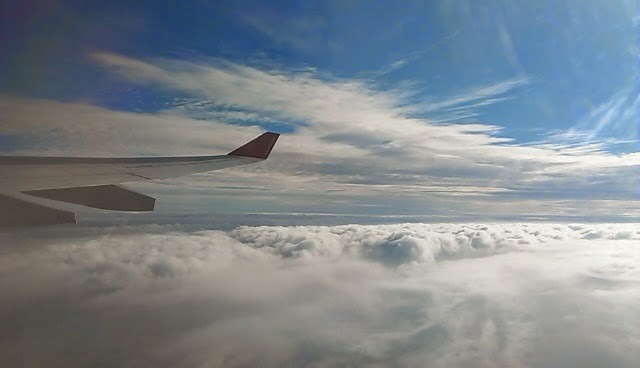 While everyone is entitled to their option I think AirBelin has great service and I am very happy to be flying them again. Best of all we can fly nonstop to Florida and then it is just a short drive home. How great is that? 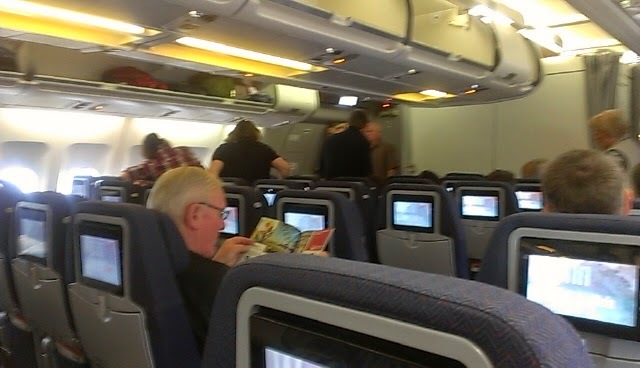 The aircraft is an A330-200 and we have economy seats 41 I & K. The flight time is 10 hours and 20 minutes. It is really overcast right now but it is supposed to be a sunny across the Atlantic. Our turn came to board and we made our way down to the seats past the wing. Both the new seats and the monitors were very nice. Some people have complained about the new seats being too hard but it seemed fine to us. The majority of the passengers were German but we did hear some English being spoken too. The crew seemed very nice. This time we had a male flight attendant named Helmut who could not have been nicer. 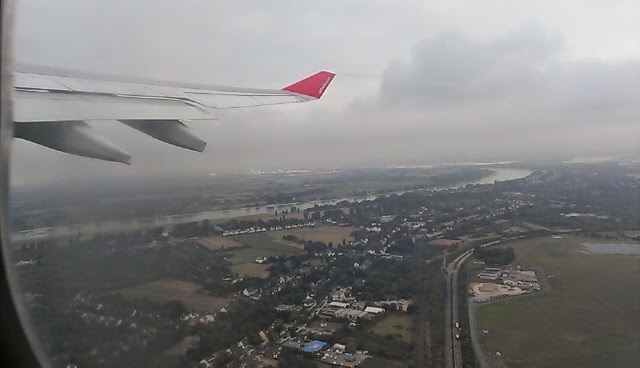 We taxied and did not have to wait and we were soon flying over Westphalia and the Rhine. It appears a bit dreary outside. However, inside the plane everything was going great! After a few minutes in the air the monitors came on. I absolutely love the new monitors! The clarity is amazing and the size which is 8.9 inches seems even larger and is so easy to see. The monitor has a USB port too if you want to plug in a mobile device. The RAVE high definition audio/video on demand AVOD system offering more than 200 hours of entertainment is fantastic! AirBerlin also switched to the one prong audio headsets instead of the double pronged ones pre-refurb. Another huge improvement as you can use your own headphones without an adapter. As a nervous flyer I love being able to monitor our flight progress and location. 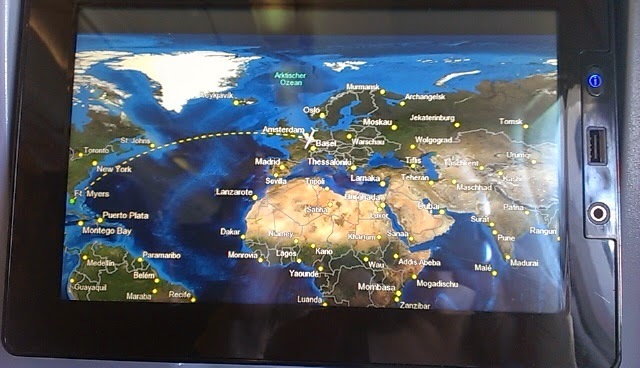 I am sitting on the right side of the plane and our journey will take us across southern England and Ireland and then off the coast of Canada until flying parallel to the US southeast coast before arriving in Florida. In about 2 hours we were flying off the coast of Ireland near Dingle. No more land for many more hours. 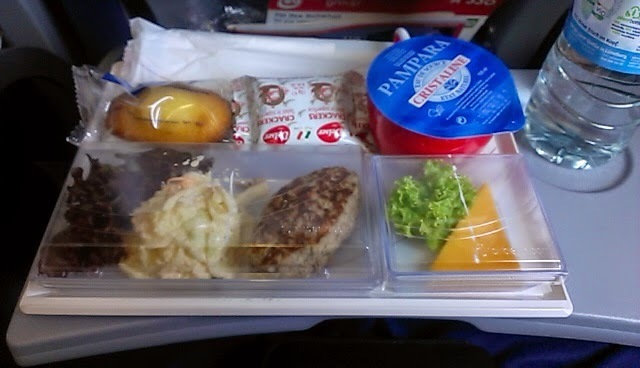 As we are on a morning flight, I was thrilled AirBerlin wisely did not insist on serving breakfast! The lunch entree looked pretty good. I selected the chicken in a tomato type sauce with rice and broccoli. There was also a little salad, crackers and a dessert. 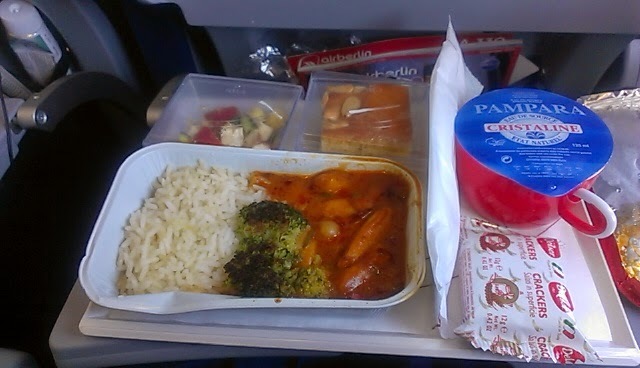 Once the lunch tray was removed I enjoyed the new IFE system and watched some movies. My first choice was American Beauty with Kevin Spacey. I have seen this film before but I wanted to watch it again. 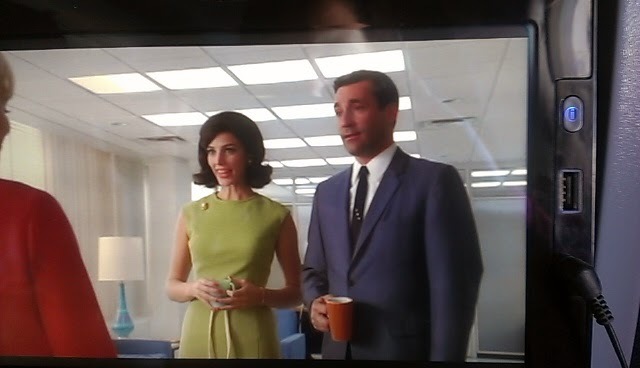 Spacey's portrayal of "Lester Burnham" is so funny and it was even better the second time around. I then selected Star Trek: Into Darkness. I am not a "trekkie" but a big fan of the original series and Star Trek: The Next Generation. 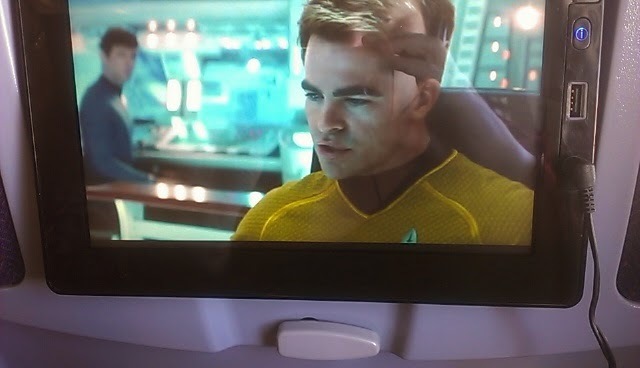 Chris Pine plays a young Captain Kirk and is a great addition to the franchise. After the movie I took a short break and then returned to my seat to take a few snaps out the window before deciding what to watch next. We have terrific weather for flying today. There was one episode of Magnum P.I. available so I decided that would be fun for 30 minutes. Amazing how much faster the show works without commercials! Nice to see Tom Selleck again but the episode was rather idiotic with Magnum and a lovely con artist stranded on a deserted Hawaiian Island. Magnum is dressed in a a tuxedo which continues to get smaller and smaller as their predicament becomes more perilous and he cuts away his clothing. In need of something more cerebral I was delighted to discover that apparently the Germans are big fans of Mad Men. 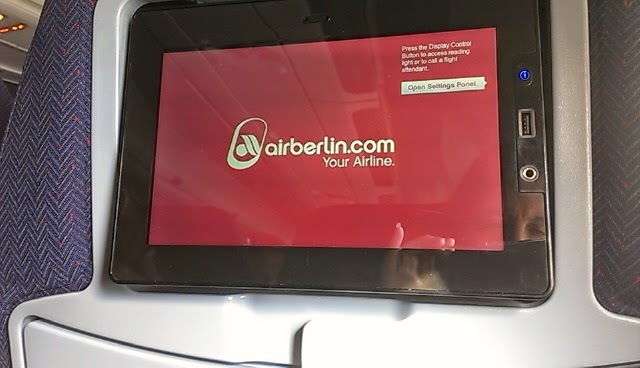 AirBerlin had 25 episodes on hand and I watched 6 of them. They were from all different seasons. I jumped around a bit and really enjoyed the ones with young Sally and Ms. Ida Blakenship who expires at her desk! Don Draper would you like some coffee? 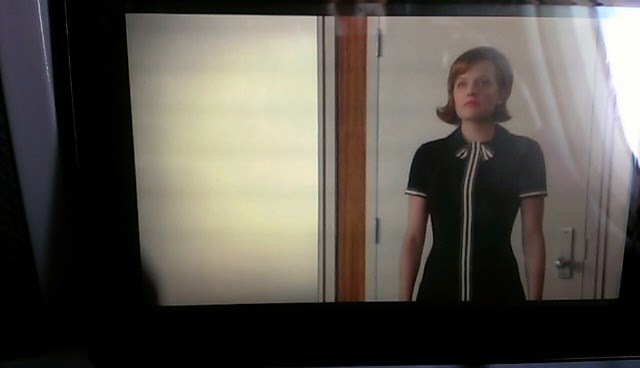 Peggy, you look a bit tense! After a couple of episodes centering on Peggy's (Elizabeth Moss) character we were only a few hours from home and it was now snack time! This looks reminiscent of the same snack we were served last year. Kibbe, potato salad, cheese wedge and a cookie. It was very good! 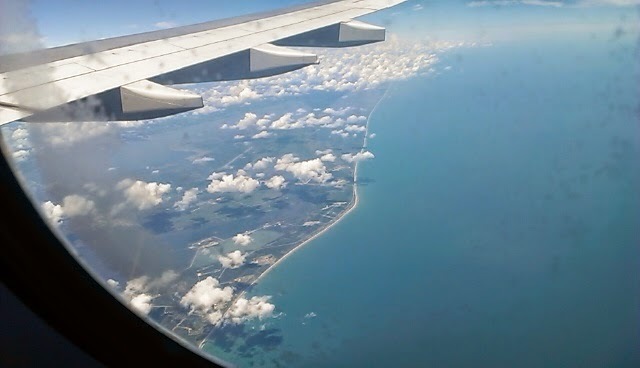 It was not long before we could see the coast of Florida from the right side of the plane. Looks very inviting doesn't it? 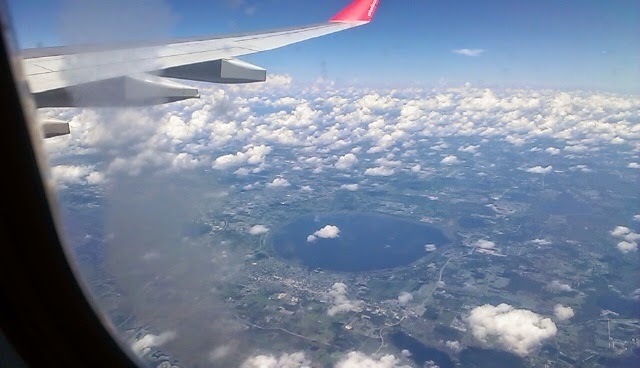 I have never seen Lake Okeechobee from the air before. Looks like someone cut a perfect circular blue hole in the center of Florida. We landed in the late afternoon and were soon queueing at immigration. The line for US citizens and landed immigrants was not long at all. I really felt for those in the longer line and one adorable screaming little boy who just wanted to get the heck out there. Unfortunately he was in the non-US line and it was not going to be a quick exit. Two weeks away on vacation was great but I was excited to be home again. One of our petsitters (Jeanne) was out walking the dogs when we pulled into the gate. I don't know if Siebren or I was more excited to see one another! It was a perfect welcome home! Our next trip is not for a while. We will probably go to Longboat Key around Christmas time and see my uncle and cousins but we are home bound for the foreseeable future, which is fine with me! From an early age I had a passion and interest in travel. When I was a toddler I played in the sand on Cape Cod to great amusement. My first international trip was at six years old to the Caribbean. I have visited many countries in Europe, South America, Asia and the Pacific. Being exposed to new places and different cultures has had a positive influence on my life. I especially enjoy researching destinations and finding hidden treasures as well as notable gems. These are my two dogs, Shadow and Siebren. They are such good boys. It is hard to leave them but we are fortunate to have excellent petsitters. 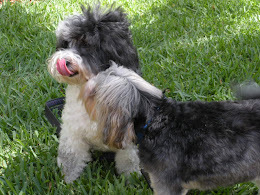 Siebren is a Lowchen and Shadow is a Havanese. Since we never got Shadows papers and he loves to herd and hold things with his paws we joke that he is part border collie and part Panda! 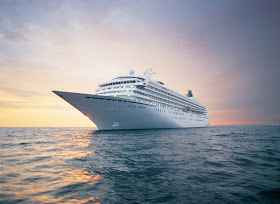 In 2012 after a dozen cruises and many land based vacations, I decided to expand my Shutterly album creation experience and tackle a blog for the first time. 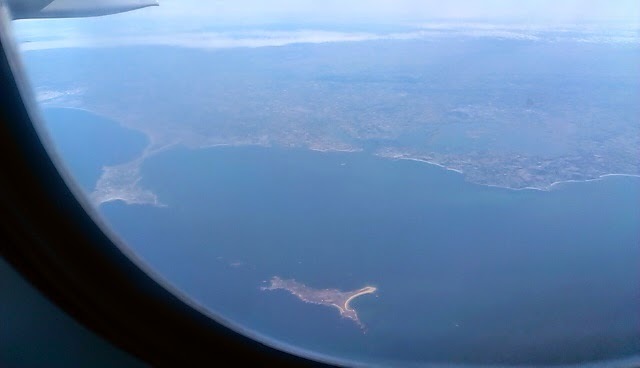 I am not sure if I write the blog for my travels or if I travel so I can write the blog! I am originally from New England and have lived in several places including, Los Angeles, Vancouver, Washington, DC and Tokyo.